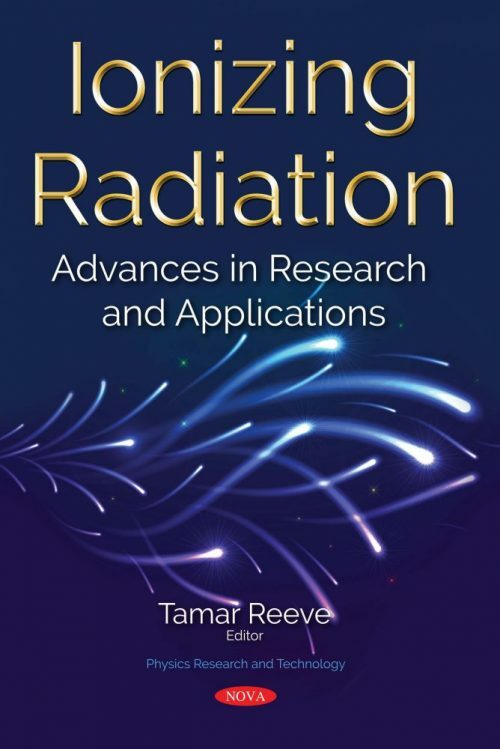 In this compilation, the authors examine the importance of ionizing radiations for thermoluminescence dosimetry that is the current area of research for medical and industrial purposes. Ionizing radiations are harmful to the human body, so, there is a need to measure small doses in the environment as well as very high doses at the time of accident like radiation leakage and for the treatment of cancer. Next, recent advances regarding effects on exposure of some foods to ionizing radiations are presented. The dosage required for complete sterilization may, at times, lead to undesirable changes in food flavours or may exceed the permitted levels. Combining irradiation with other treatments yields satisfactory results in these cases. Combined applications of ionizing radiation with heat, low temperature, high hydrostatic pressure, and modified atmospheres are also discussed. Later, new results concerning cell survival and genetic instability of wild-type and radiosensitive yeast cells of Saccharomyces cerevisiae surviving after irradiation with 60Co γ-rays, 239Pu α-particles and 254 nm UV light are presented. Survival was determined by cell ability to produce macrocolonies on a solid nutrient medium. The authors also review data on the radiation resistance of AlGaN/GaN and InAlN/GaN High Electron Mobility Transistors (HEMTs) as well as emerging Ga2O3 photodetectors and rectifiers to different types of ionizing radiation. Both of these wide bandgap semiconductor (nitride-based and gallium oxide-based) materials are much more radiation-hard than GaAs or Si and this is largely a result of their high bond strengths. By using the test system of blood lymphocytes of healthy individuals, the following paper presents the co-mutagenic (potentiating) effect of the drugs – a calcium channel blocker verapamil and an antioxidant ascorbic acid-on the radiosensitivity of cells. It was found that when the lymphocytes are irradiated in a small dose (0.3 Gy), ascorbic acid (80.0 μg / blood) and verapamil (4.0 μg / ml blood) increase the frequency of chromosomal aberrations in comparison with the radiation effect by 75 and 62, 5% respectively. Afterwards, the experimental data of the effects of temperature, light intensity, background ionizing and non-ionizing radiation on physicochemical properties of water, water solution and cell function are presented. Considering the fact that the cell membrane permeability for water is more than 10 times higher than for inorganic ions, it is hypothesized that, upon the effect of chemical and physical factors, the changes of net water efflux through the membrane precede the activation of ionic fluxes in the membrane. Also in this compilation, a study is included which investigated the modifying effect of astaxanthin on radiation induced genome damages in cultivating human peripheral blood lymphocytes (PBL). The study indicated that astaxanthin in concentration of 20.0 µg/ml demonstrated evident radioprotective properties by reduction of the ChA level, decreasing of DNA damages and increasing of the apoptotic rate. In the last chapter, the authors present some works that study the causes of the high resistance of IRRB to ionizing radiation. Then we focus on presenting in silico approaches that use protein sequences of bacteria in order to predict if an unknown bacterium belongs to IRRB or ionizing-radiationsensitive bacteria (IRSB).